Eldritch Moon has arrived! And with it comes a plethora of new cards to to brew around or tune up your favorite decks. There has only been one tournament with the set being legal so far, but it has had some strong implications for standard. Namely that Bant Company has become an even more powerful deck. Now that the deck has a new look, the metagame will have to shift around to beat it. But how? 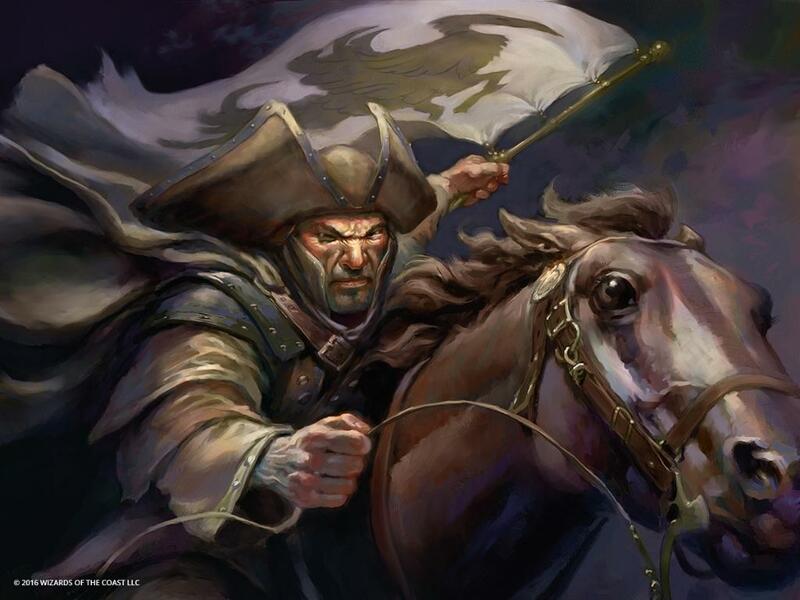 Bant is a midrange deck, so the simplest way to beat it is to be faster than it. Slowing down and being a more controlling deck is another viable strategy, but with how young the new standard format is, it’s very risky. So let’s get aggro! Here’s a couple of decks I put together to get some ideas flowing. I’ll admit this is not the most aggressive deck in standard. Not by a long shot. But I really like the deck’s game-plan. What it lacks in purity, it makes up for it in nonconformity. The idea is to stay alive behind the defenders using the instants and sorceries to either awaken Thing in the Ice or ping them multiple times a turn with Thermo-Alchemist. There’s some good flexibility here. 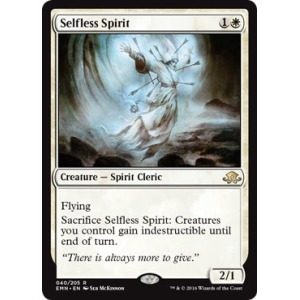 Some draws throw damage at the opponents face, different draws slow the opponent down enough for them to die slowly to little pokes of burn, and others unleash an Awoken Horror on them. All three sound like pretty happy endings to a game of Magic. None of the 2-drops in this deck are as inherently powerful as a Sylvan Advocate. 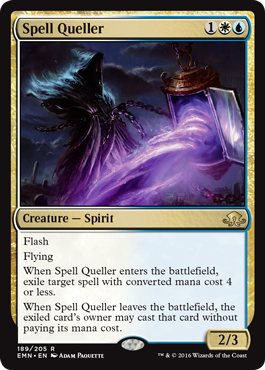 It also doesn’t run Reflector Mage or Spell Queller which are arguably two of the best creatures in Standard. But the synergy is real. Each creature is a human, and does something awesome. There are general good cards like Duskwatch Recruiter, Den Protector, and Tireless Tracker. But the really cool interactions are with the humancentric abilities of Hamlet Captain, Thalia’s Lieutenant, and Heron’s Grace Champion. 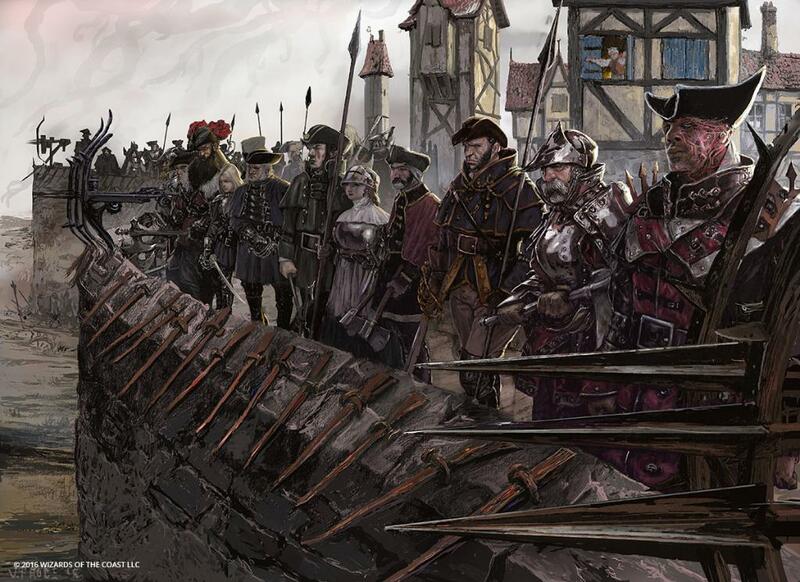 The word “human” can just be changed to “creature” in their rules text because they will hit every single creature on their side of the battlefield. Not to be forgotten, Hanweir Garrison creates human tokens, which put +1/+1 counters on Thalia’s Lieutenant and receive Hamlet Captain pumps if the abilities are stacked correctly. This deck is scary. It is fast and full of potential, and I expect something very similar to it to be showing up at Pro Tour Eldritch Moon. That’s what I’ve come up with. Hopefully it gets you excited to start playing with some of the new Eldritch Moon cards. The first couple weeks after a new release are the most fun time to play or watch Standard. There are so many new ideas and decks out there, that anything can win and rise into meta-game prominence. So don’t get too discouraged by any staleness at the moment. Like the story-line of the recent block, there’s something bigger coming! 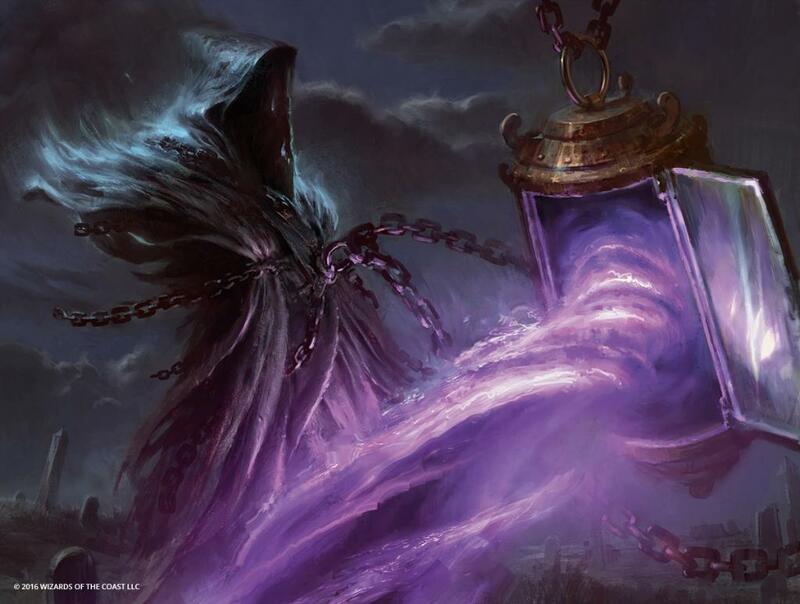 This entry was posted in Articles, Decklists, Magic The Gathering, New Product and tagged Bant Company, decklists, Eldritch Moon, Hanweir Garrison, Heron's Grace Champion, Magic The Gathering, MTG, Naya Company, Standard, Thermo-Alchemist, Thing in the Ice. Bookmark the permalink.